The inquiry into Labor’s policy to remove refundable franking credits has recommended against its removal. 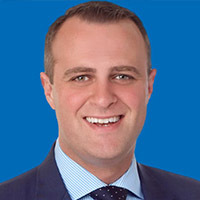 The inquiry's chair, Liberal MP Tim Wilson, wrote in the recently released report that Labor’s policy was inequitable, flawed and rushed. “The ALP’s policy will unfairly hit people of modest incomes who have already retired, and who are unlikely to be able to return to the workforce to make up for the income they will lose,” said Mr Wilson. Labor MP Matt Thistlethwaite responded to the inquiry by calling it a farce and that the inquiry was a political campaign in its nature. “Using tax payer’s dollars to look at opposition policy proposals has been criticised by many Australians, the media and submitters to this inquiry as a waste of scarce government resources,” he said. Mr Thistlethwaite said that the cost of the inquiry to taxpayers was out of proportion and that Mr Wilson had colluded with Wilson Asset Management to achieve an outcome designed to protect the fund managers interests. Mr Thislethwaite claimed that Geoff Wilson of Wilson Asset Management had spoken to Mr Wilson boasting of his influence and it was later uncovered that Wilson Asset Management had funded the Stop The Retirement Tax website that encouraged members of the public to create submissions. “To any reasonable person using this website you would believe that this is an official website, of the committee through which submissions would be accepted... sadly this could not have been further from the truth,” said Mr Thislethwaite. “Inevitably political views influence some of the inquiries that committees conduct, but this shouldn’t mean that committees would not approach their task open to the evidence which may be presented and with clear and proper processes,” he said. Mr Thislethwaite in his inquiry response said that the government was ignoring the structural problem with the budget as it related to the aging population. “With an ageing population we must make structural changes to rebalance the budget to ensure, as a nation, [that] we can continue to fund services that ensure Australians enjoy a high standard of living,” he said. Labor said the cash refunds were unique and that closing the loophole allowing individuals who do not pay income tax to receive government money was a responsible budget approach. “Labor’s policy is not a tax. Our policy ends a cash refund for franking credits for people who have no taxable income in a particular year,” said Mr Thislethwaite.